A single donation of 500 pounds towards the restoration of Martello. If you are able to Gift Aid your donation it grows by 25%. 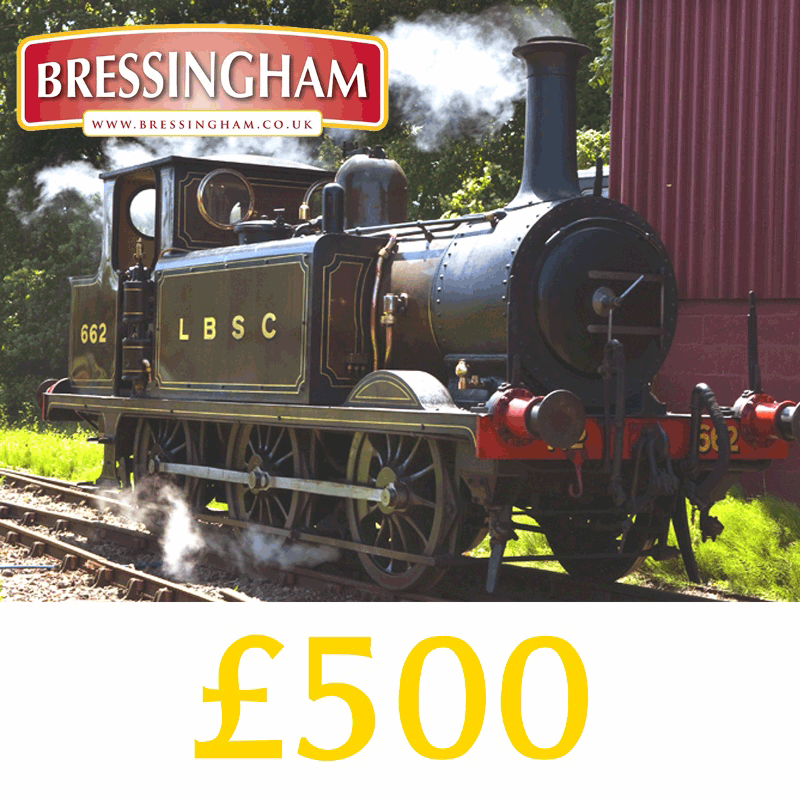 Bressingham is a charity and your donation helps us keep Bressingham alive. Donations from Bressingham are eligable for gift aid if you are a UK tax payer. This means we get an extra 25p for every £1 you spend at no extra cost to you. By generously choosing to pay the higher price, your entire ticket price can be treated as a donation and Bressingham will be able to reclaim 25% from HM Revenue and Customs. You are confirming that you will pay sufficient UK income/capital gains tax to cover this and all other gift-aided donations made in this tax year. If you generously pay the higher price but do not pay sufficient UK income/capital gains tax to cover this and all other gift-aided donations made in this tax year then Bressingham will still benefit from the additional payment.